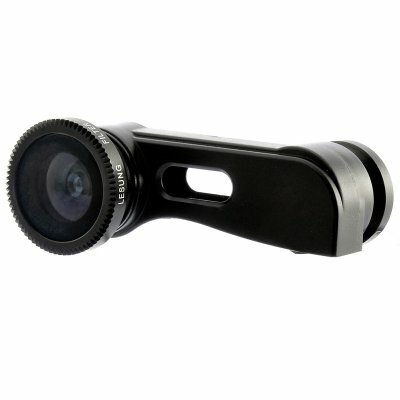 Successfully Added 3-in-1 Lens Kit for iPhone 5 - Fish Eye Lens, Wide Angle Lens, Macro Lens to your Shopping Cart. 3-in1 Camera Lens Kit specifically designed for the new iPhone 5 allowing multiple types of photos to be taken. 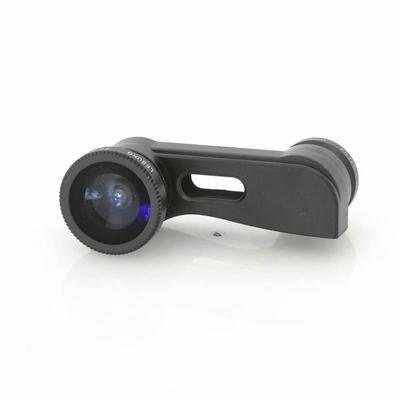 Chinavasion has a great way to improve cool existing products and this 3-in-1 camera lens kit that is designed exclusively for the iPhone 5 is no exception. Change between the three lenses easily. The kit attaches to the top of your iPhone 5 and the design of the kit allows the lens to perfectly line up with the iPhone 5’s cameras. The fish eye lens screws on and can be unscrewed from the macro lens. A fisheye lens is an ultra wide-angle lens that produces strong visual distortion proposed to form a wide panoramic or hemispherical image. Fisheye lenses accomplish exceptionally wide angles of view by forgoing creating images with straight lines of perspective opting instead for a special mapping, which gives images a characteristic convex non-rectilinear appearance. Macro lens is used for extreme close-up photography, usually of very small subjects, in which the size of the subject in the photograph is greater than life. By some definitions, a macro photograph is one in which the size of the subject on the negative or image sensor is life size or greater. In photography and cinematography, a wide-angle lens refers to a lens whose focal length is considerably smaller than the focal length of a normal lens. This type of lens allows more of the scene to be included in the photograph, which is useful in architectural, interior and landscape photography where the photographer may not be able to move farther from the scene to photograph it. This 3-in-1 photo lens kit iPhone 5 accessory is sure to sell quickly so get your single piece or bulk orders in now while this product is still in stock and ready for next day shipping. Brought to you by the leader in electronics and iPhone accessories, Chinavasion.